After we first spotted the Commencal Meta Power e-MTB back in November last year, it looks like the Andorran brand is finally ready to take the covers off its first battery-powered mountain bike! 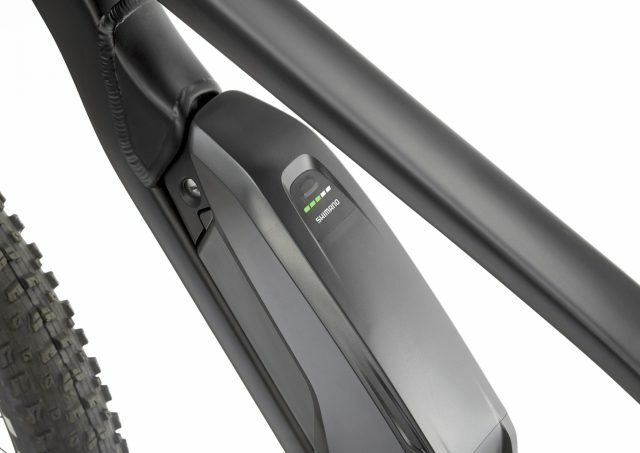 In a press release that popped up in the Singletrack inbox this evening, Commencal is announcing the all-new Meta Power hardtail, complete with the Shimano STEPS E8000 motor and battery system. “LET’S ENTER THE GAME! 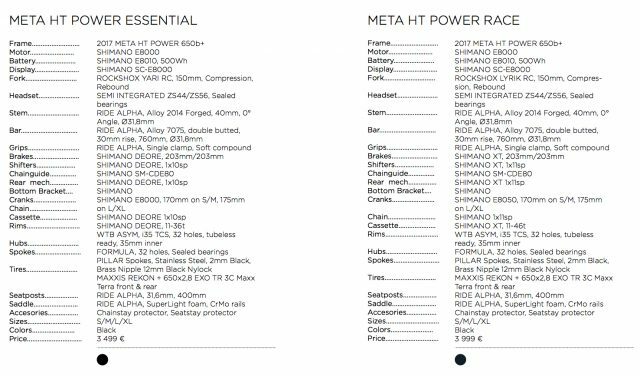 The META POWER and the META HT POWER are not simple bikes designed around a motor, but a genuine META on which we integrate a compact, silent, powerful and lightweight system. Battery: the intelligent integration. Removing, replacing and recharging the battery on the bike are basic demands. Creatively integrated into the frame, easy to disassemble, the SHIMANO battery currently gives the greatest range on the market (up to 100 km in “Eco” mode with 800m of positive elevation). 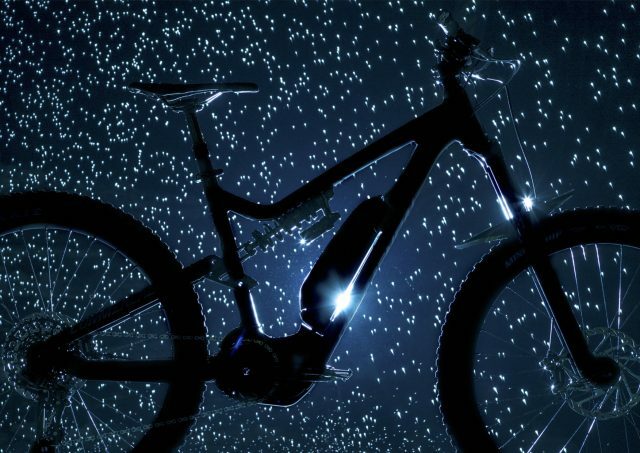 The Commencal Meta Power e-MTB hardtail. 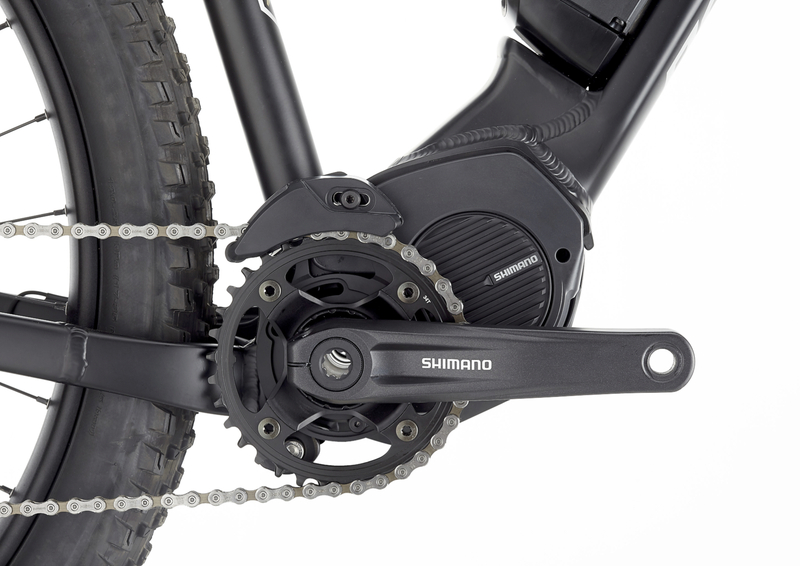 Commencal has chosen Shimano’s STEPS E8000 motor system for the Meta Power. 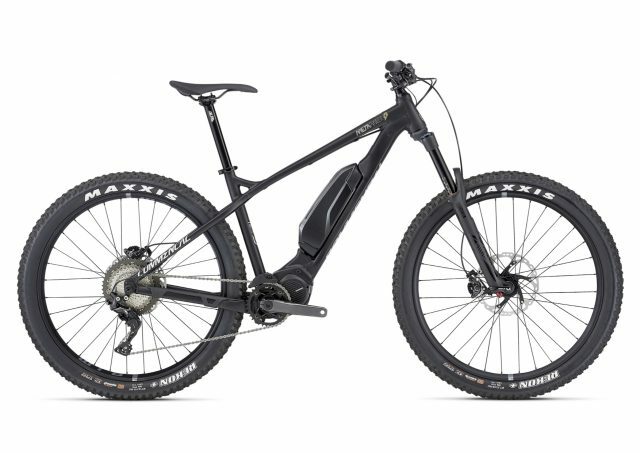 As was pretty evident from the original photos we spotted last year, the Meta Power hardtail is built around the Shimano STEPS E8000 motor. This is a 250W motor that is placed in the centre of the frame down at the bottom bracket shell. The cranks and chainring are specific to the STEPS system, and one of the big advantages that Shimano has brought to the table is a narrow Q-factor. 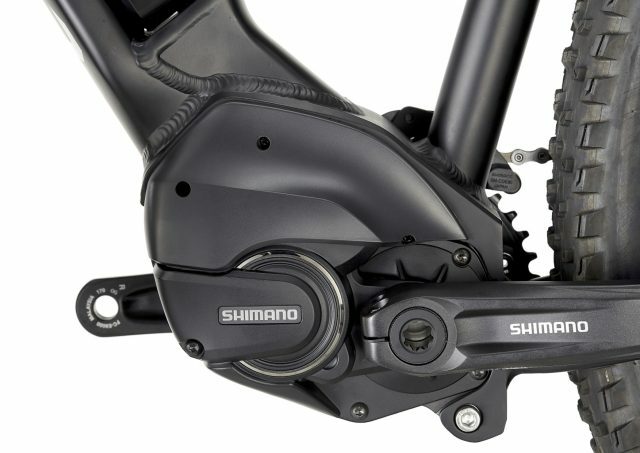 Compared to other e-MTB motor systems that are much wider through the cranks, the Shimano system has the same Q-factor as a set of regular ol’ Deore XT cranks. That makes it feel like a normal bike on the pedal, and not like you’re riding a stallion. The compact motor system allows for short chainstays. An impressive 435mm length in the case of the Commencal Meta Power. The other big advantage of the STEPS E8000 system is its size, or lack thereof. The compact unit makes for a slightly less garish aesthetic, but more importantly, it allows for a tidier bottom bracket junction and shorter chainstays. In the case of the Meta Power, Commencal is running a 435mm chainstay length, which is quite possibly one of the shortest back-ends on an e-MTB that we’re aware of. Despite that, the Meta Power is still running 27.5×2.8in plus tyres. That’s right, not skinny little tyres, but big chubby 2.8in Maxxis Rekon tyres. In our experience, plus tyres are ideally suited to the trail hardtail genre. 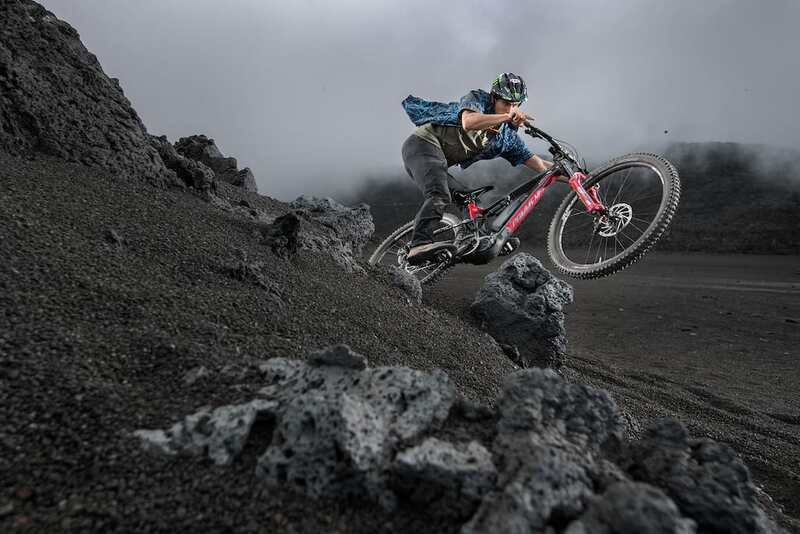 They’re also ideally suited to e-MTB’s, which are typically much more capable of scaling steeper and more technical climbs than any other bike is capable of. Combine the two, and the Meta Power is the perfect candidate for chubby rubber. Commencal has chosen a decently slack 66° head angle to pair up with a 150mm travel RockShox Yari or Lyrik fork. Front centre’s aren’t huge, but then Commencal mountain bikes rarely are uber-long. 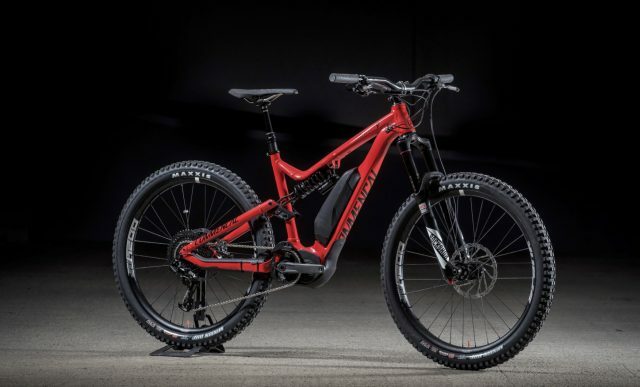 However, with that tight back end, the Meta Power is likely to offer a little more pop on the trail than your average e-MTB, so we’re guessing that nimble handling is something the Andorran brand was keen to harness within its new electric machine. 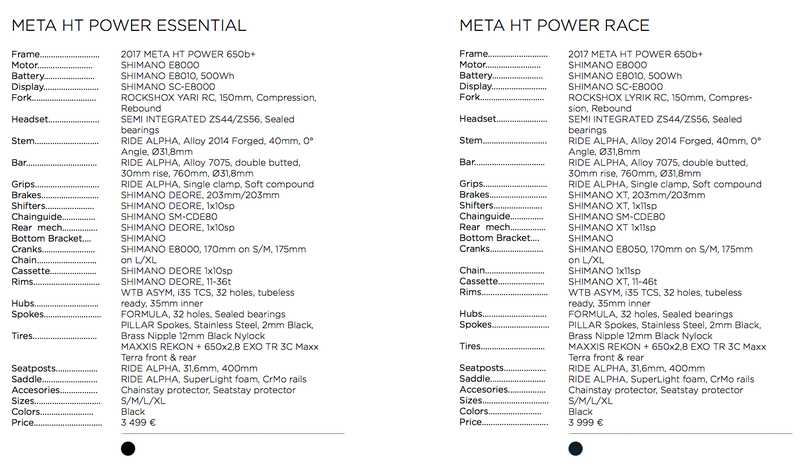 500Wh battery from Shimano is semi-integrated into the Meta Power’s alloy downtube. 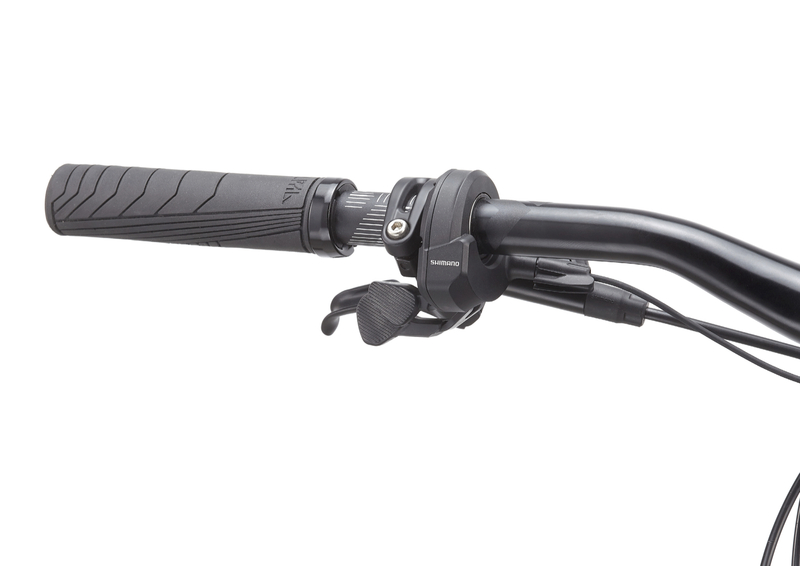 The Shimano BT-E8010 battery sits on top of the downtube inside the main triangle, with a semi-integrated aesthetic that still keeps the battery accessible and removable for recharging. It’s a 500Wh tank that comes with an LED fuel gauge, and it’s also designed to be waterproof. 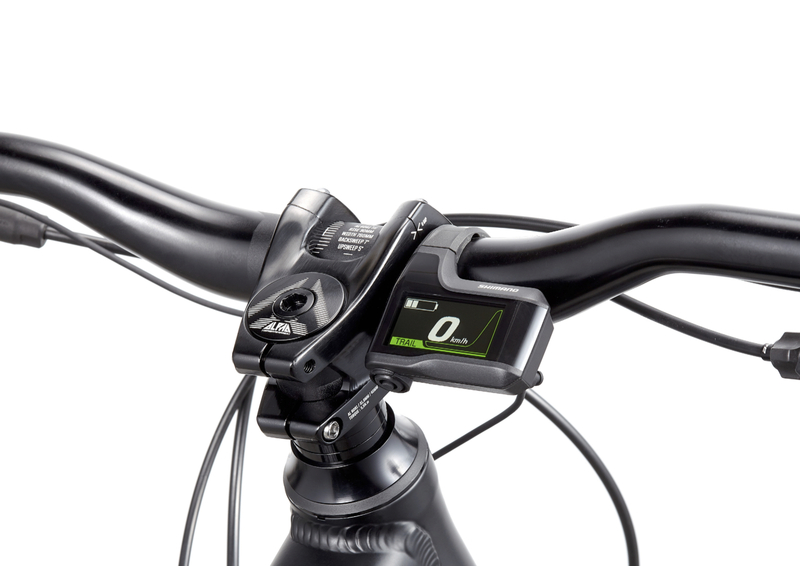 The heads-up display mounts next to the stem on the handlebar, and reads much like the Di2 display does. The simple screen shows you which power mode you’re in, how much power the motor is giving you, and how much juice you have left in the tank. 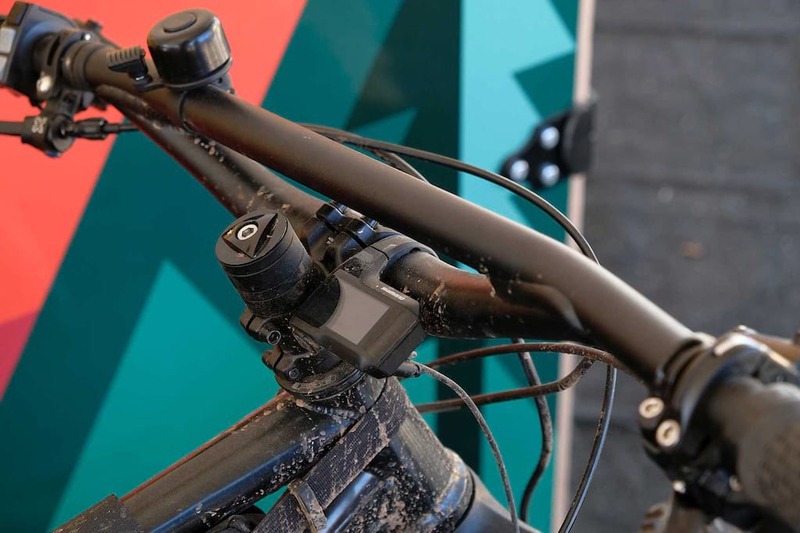 If you’re not familiar with the the Shimano STEPS E8000 system, it allows you to select four different modes: Walk (to help push the bike along if you’re walking alongside it), Eco, Trail and Boost. Boost is the most powerful mode, and it offers a more responsive feel at the pedals, putting more power into the rear wheel as you push on the pedals. In our experience however, Trail and Eco modes are much more usable on the trail, with a smoother and less jerky feel to acceleration. Clever torque sensors inside the STEPS motor mean the system recognises how much you’re putting in, so it knows how much to put back out. And that’s how the basic equation works; the more you put in, the more the motor puts out, with a maximum amount of 250 Watts available. And if you’re really hammering along, the motor will eventually taper off once you hit 25km/h, which is the legal cut-off point for e-bikes. Not a shifter – that’s the turbo switch. Using a similar Firebolt shifter to Shimano’s mountain bike Di2 groupsets, the left hand remote allows you to flick between the different power modes on the STEPS E8000 system. Click up to make your way to Boost, and click down to go into Walk. More teasing, this time with double-shockers. And that’s about all the info we currently have on the new Meta Power from Commencal. 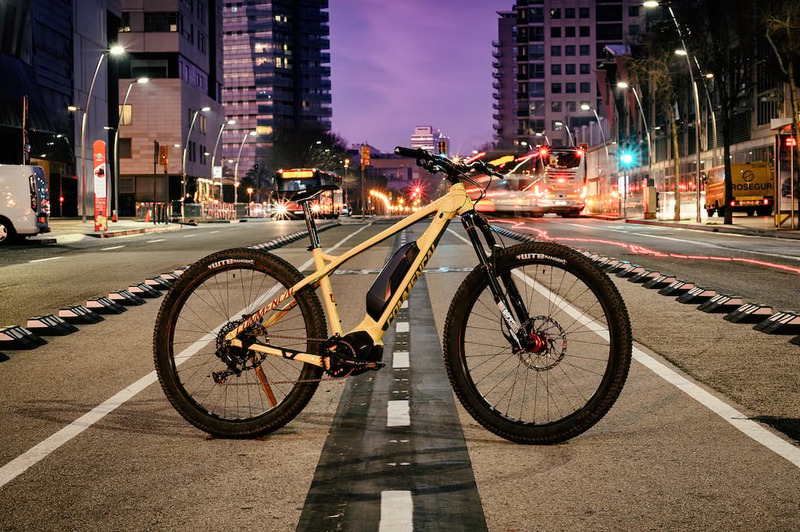 On paper, it certainly looks interesting, and it’s got a lot of the right ingredients to make it quite a potent e-MTB for taking on proper rough mountain bike trails. In the same press release however, Commencal has also teased us with an mage of a full-suspension version of the Meta Power HT, which appears to be based on the Meta AM trail bike. 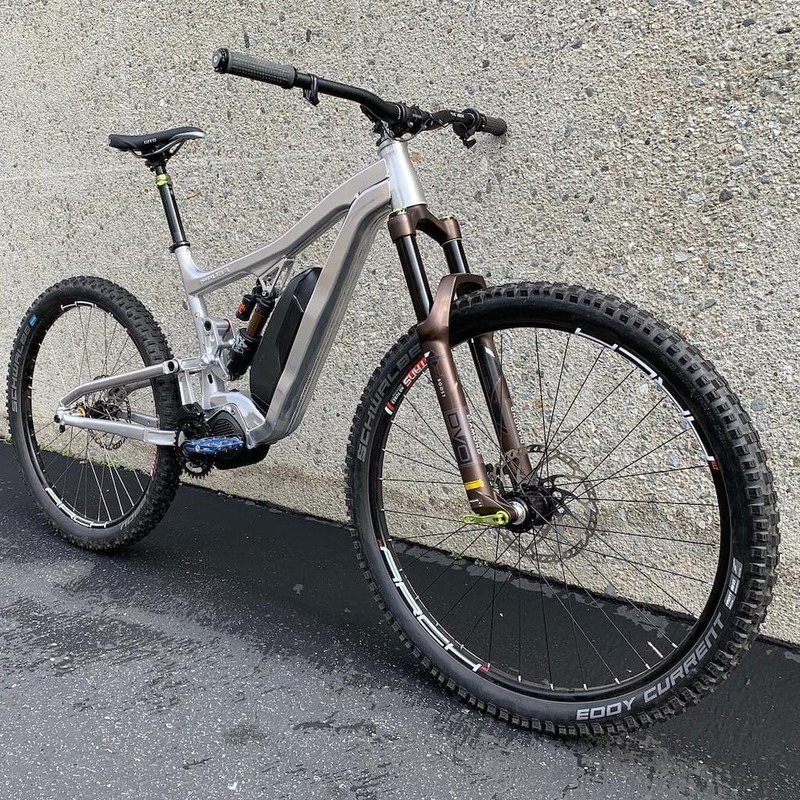 Details are yet to be published on this guy, but it looks to be built around the same Shimano STEPS E8000 motor and battery system, and a 150mm travel fork up front. There are 27.5×2.8in plus tyres, and out back is a coil shock that’s likely realising 140-150mm of travel. And if it’s anything like the current Meta full-suspension series, it’s likely to have some pretty spicy geometry too.